He has lived and worked in Nepal since 1985, starting his career as a VSO volunteer in a community forestry programme in Nepal after graduating in Forestry in the UK. 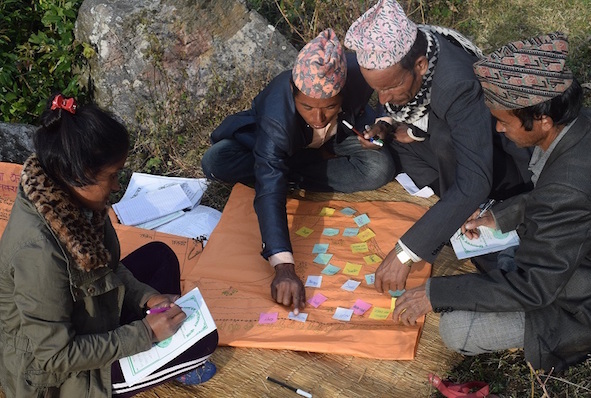 Based in the remote western district of Jajarkot, he quickly realised the shortfalls of international development and so in 1988, when he came across the concept of Permaculture, he embarked on an ambitious alternative. Starting with a local friend, £500 and an acre of degraded farmland in the district centre of Jajarkot he founded a demonstration and training centre which grew organically into the Jajarkot Permaculture Programme (JPP), a diverse array of projects spanning 4 districts, 65 villages, 8 resource centres (working farms), 120 staff and volunteers, and a membership of 12,000 farmers which successfully spread new ideas in line with existing cultural traditions. He stayed with the JPP until 2001 when he started to work with community groups which were spawned from the original programme. 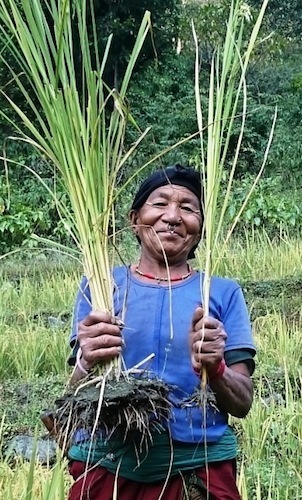 In 2001 he co-wrote and published the Farmers' Handbook in Nepali, a compendium of over 40 farmer-friendly techniques and approaches based on best practice learned in Nepal, but applicable globally. He directed the Nepal programmes for a UK charity from 2002 to 2008, working in the districts of Surkhet and Humla, one of the remotest and most challenging areas of the country. 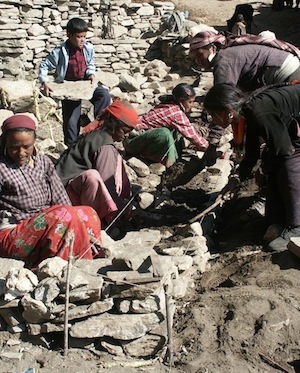 He currently works with a 3rd generation progeny of the JPP, the Himalayan Permaculture Centre (HPC). 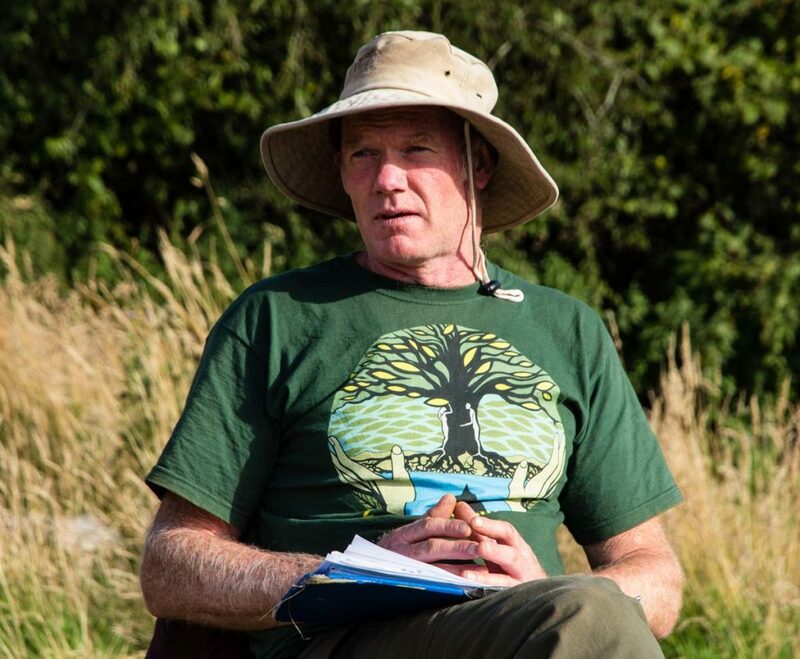 His experience and passion have been designing, setting up and managing resource centres that are working demonstrations of applied permaculture as well as training venues, and hopes to develop Applewood in a similar pattern, making its resources available to as wide a group as possible. Chris facilitates various courses at Applewood including Introduction to permaculture, the 72-hour full permaculture design course (in residential and weekend formats), forest gardening, observation and mapping, fruit tree grafting and pruning, and permaculture for development workers. His experience and passion have been designing, setting up and managing resource centres that are working demonstrations of applied permaculture as well as training venues, and hopes to develop Applewood in a similar pattern, making its resources available to as wide a group as possible.